Ken Fisher is among the world’s top influential leaders according to business education network AACSB International-The Association to Advance Collegiate Schools of Business. Fisher, founder and chief executive officer of Fisher House Foundation, was recognized by AACSB as part of the organization’s 2018 Influential Leaders Challenge, an annual initiative that honors notable alumni from accredited schools whose inspiring work serves as a model for the next generation of business leaders. 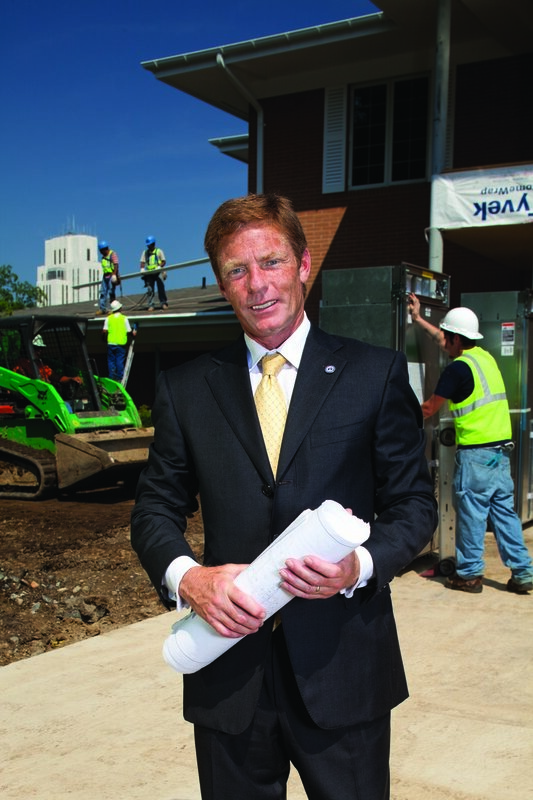 Fisher, who was selected for his leadership in the nonprofit sector, is the founder and chief executive officer of Fisher House Foundation, an organization that provides housing where families of hospitalized military personnel and veterans can be near their loved ones, as well as scholarships for veterans, their spouses and their children. In partnership with Newman’s Own and the Military Times, the foundation also supports grant funding for efforts to improve the quality of life for members of the military. Fisher has overseen the construction of 77 Fisher Houses throughout the United States and has expanded operations to Germany and the United Kingdom. Fisher Houses provide support to more than 32,000 military and veterans’ families each year. Since its inception, the Fisher House program has helped more than 305,000 families, saving them an estimated $360 million in out-of-pocket costs. Fisher attended Ithaca College from 1976 to 1980, and in 2016 received an honorary Doctor of Commercial Science degree from the college. He said the business industry is different now compared to when he was in college, but what he learned back then can still be applied today. Fisher was nominated for the award by Sean Reid, dean of the Ithaca College School of Business. Beyond his work at The Fisher House Foundation, Fisher also served as the chairman of the Invictus Games’ organizing committee for the 2016 games in Orlando, Florida. In 2007, he served on the President’s Commission on Care of America’s Returning Wounded Warriors. He has twice been awarded the Department of Defense Medal for Distinguished Public Service, the U.S. Department of Defense’s highest civilian honor. In addition to his philanthropic work, Fisher is a co-managing partner of Fisher Brothers, a successful real estate firm based in New York City. For more information on the Influential Leaders Challenge, and to view a full list of honorees, visit www.aacsb.edu/influential-leaders.